NOW REDUCED $60,000! 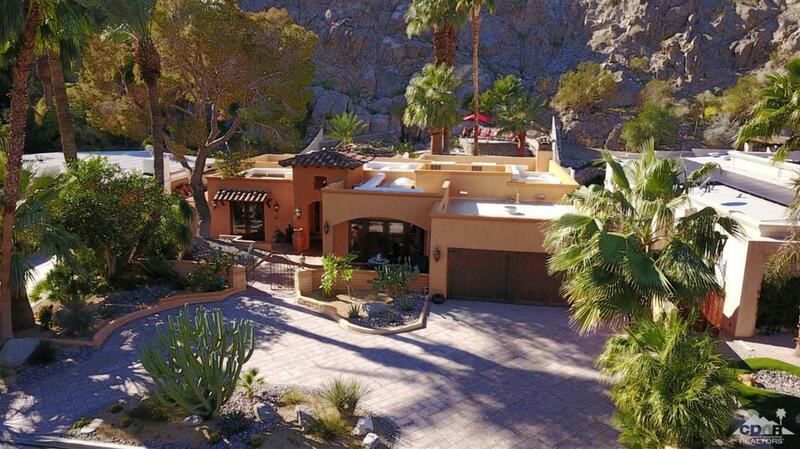 This renovated home is in a spectacular, grotto-like setting with mountain and golf course views. 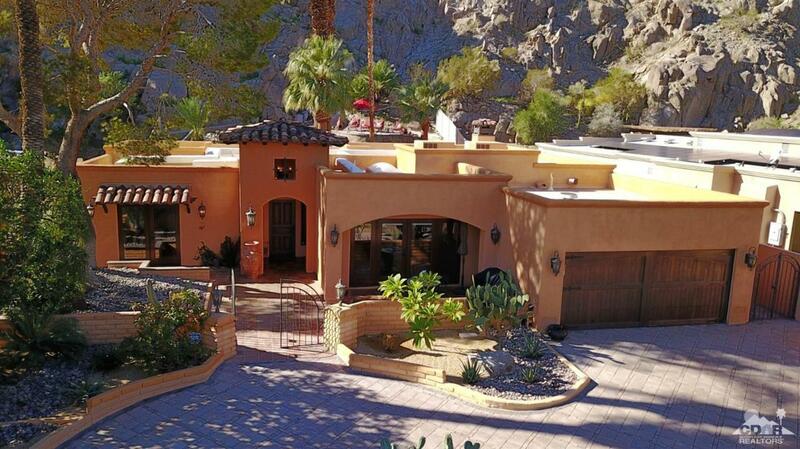 The backyard nestles up to the Santa Rosa mountains and features a recently resurfaced pool, separate spa; even an elevated deck (morning yoga?) and man-made waterfalls. 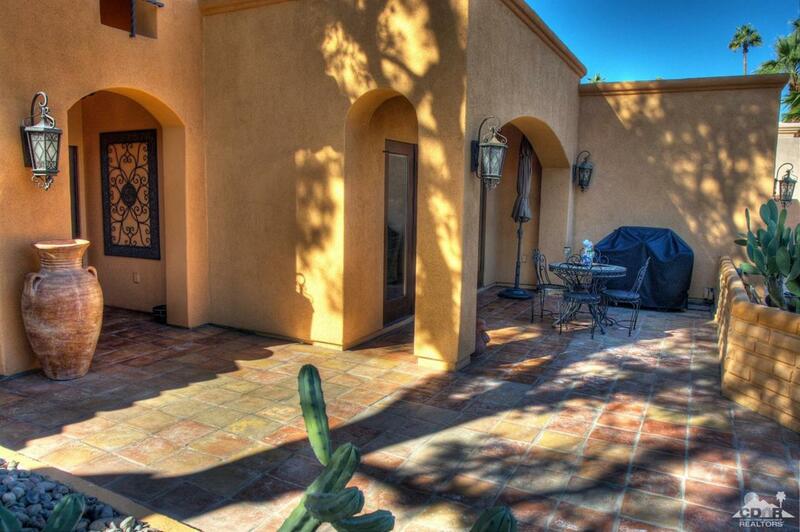 So much privacy, yet just a short walk to the clubhouse at the Indian Wells Country Club. This 2011-12 rebuild w permits increased the size to approx.. 2,580 sq.ft. The house was taken down to the stud walls and rebuilt with new wiring, roof, double-pane windows, doors, HVAC/duct work, and a kitchen expansion that any gourmet chef would envy. Saltillo tile throughout retains original Old World charm. Wood-framed French Doors provide access to the outdoors from most rooms. There is even an intricate drainage system leading rain water around and away from the home. Bonus. 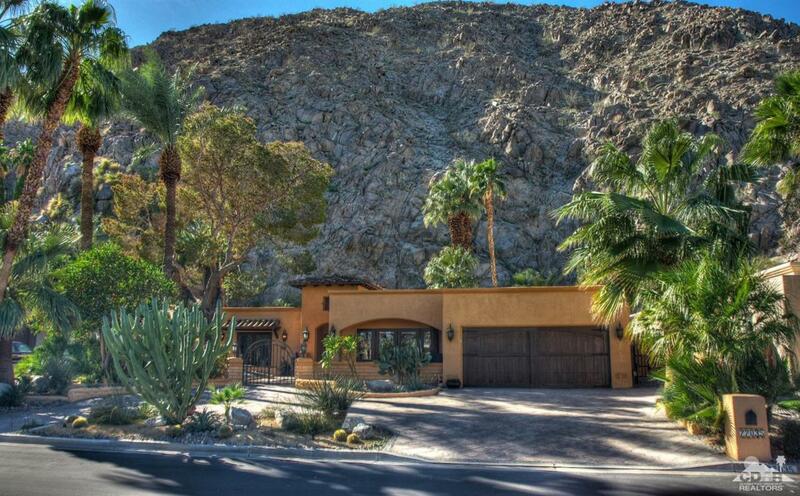 Even though the home is located within guard-gated Indian Wells Country Club, there are NO HOA Dues. Listing provided courtesy of Don Summers of Summers Realty.